Available Worldwide. Please contact us for current price. 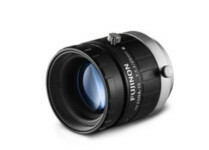 This Fujinon Lens supports 2/3" sensors with 6.2 μm pixel pitch. The compact design resists vibration. The lens features locking knobs for iris and focus.